Support Chilean cinema! Go to the movies! 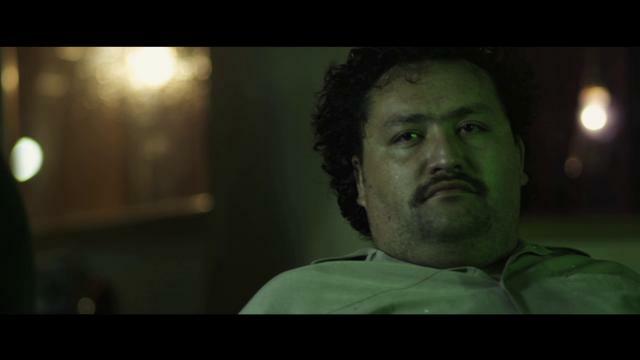 Here I Am, Here I’m Not (Aquí Estoy, Aquí No) is the Chilean Spotlight at the 2013 Newport Beach Film Festival. The film by Elisa Eliash tells the story of a freelance journalist who develops a phobia of speed and a serious case of PTSD after a near-death car accident. In an attempt to forget his trauma, he immerses himself in writing the unauthorized biography of an out-of-control Chilean rock queen and in the process finds love to be an effective distraction. When tragedy strikes in the midst of his writing, he obsessively begins searching for her replacement. Cast: Alessandra Guerzoni, Carla Casali, Constanza Alemparte, Elvis Fuentes, Jorge Rodriguez, Juan Pablo Correa, Marcelo Pertier, Maria Jose Siebald, Valeria Jara, Victor Montero.